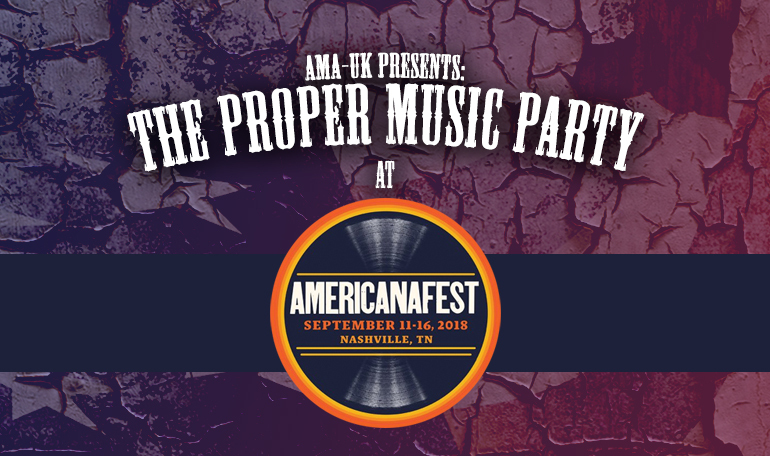 At this years AmericanaFest in Nashville, which takes place next month, we will once again be having a Proper Music Party in association with the AMA-UK. This year we’re looking forward to performances at the event from Ana Egge, Neilson Hubbard, Kim Richey and Ben Glover, so if you’re heading along to AmericanaFest, be sure to stop by for some great live music or get in touch to arrange a meetup. The event takes place on Thursday September 13, from 12 – 2pm at Nashville Underground, a new multi-million dollar venue on Broadway with easy access from the conference and other events, and is open to conference registrants and festival wristband holders. This entry was posted in News and tagged ama uk, americanafest, ana egge, ben glover, kim richey, neilson hubbard, proper music party.